The young man who played the role of Tobi in the upcoming MTV Shuga series has been identified as Dakore Egbuson’s brother. Tobi’s real names are James Timini Egbuson. He is popularly called Timini by his friends. 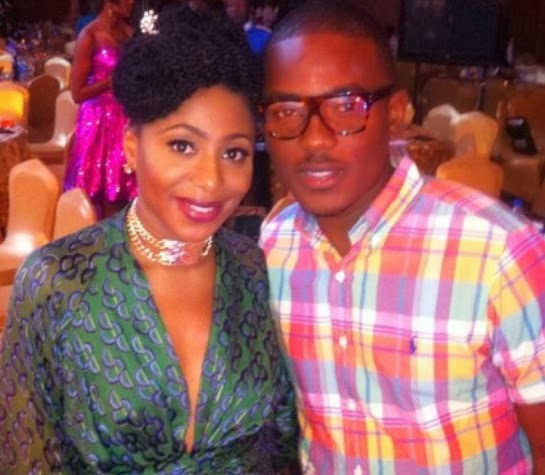 According to sources, Dakore and her husband, Olumide Akande mentored Timini to success. The sister and brother were spotted together on Saturday in Victoria Island at the Nollywood Movie Awards gala where Dakore was a co-host. Dakore Akande’s brother na fine man o.